Sailing on Carnival's Newest Fun Ship, "Sunrise"
Carnival Triumph is transforming into Carnival Sunrise. Catching a great sunrise isn’t just for early-risers. Carnival Sunrise, sailing in April 2019, will have radiant fun enough for everyone to bask in! Yep, early next year we’ll be adding so many fresh new experiences to Carnival Triumph — some of the latest dining spots, bars and pubs, sports activities, spa and more — that the transformation is earning this ship a sunny new name. There’s so many bright spots on Carnival Sunrise, so many ways to choose fun, that this ship can’t wait to share them with three home ports: Norfolk, Ft. Lauderdale and NYC! Sail from there to the Caribbean anytime, but keep an eye open for special limited voyages to amazing spots like Bermuda, Cuba, Canada & New England, and the Panama Canal. 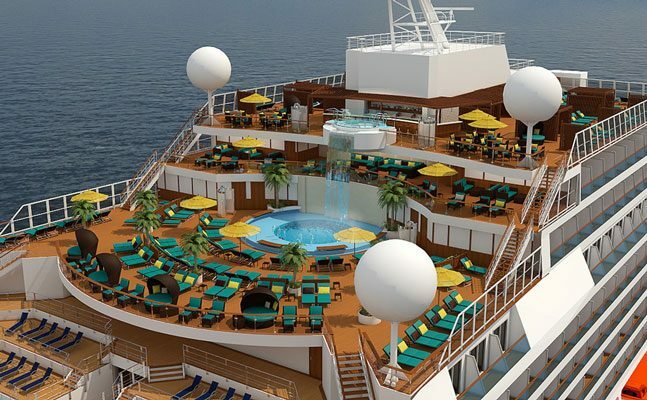 Cost includes all meals, entertainment on board ship provided by cruiseline, all taxes, fuel, port charges, and fees. GRATUITY is an additional cost of: $69.95 (prices are subject to change – book early). payment of $100 p/p is due by AUGUST 19, 2019; the next payment of $100p/p is due by OCTOBER 4, 2019; with the FINAL PAYMENT due by NOVEMBER 30, 2019. Note: a payment plan that works best for you can be arranged and full payment can be made anytime prior to final payment due date. There is a $75.00 cancellation fee for all cancelled bookings. The CARNIVAL fees will be additional and is based on date of cancellation. If cabin is not paid in full at final payment date a $50 late fee may be added and cabin is subject to cancellation. Trip Cancellation insurance is highly encouraged. Please one form per person unless paying together. This form may be copied.